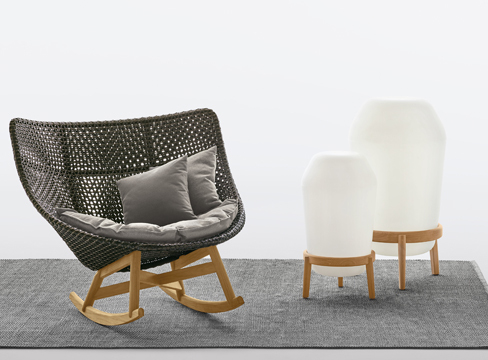 “As Dedon has already shown, outdoors is the new indoors,” Herkner explains. 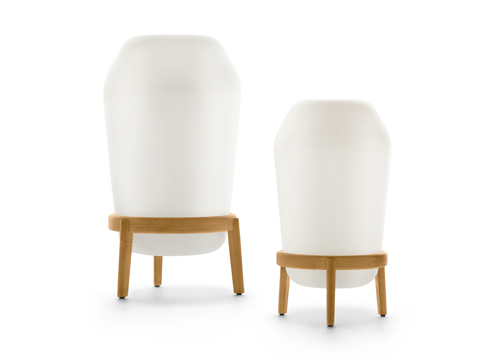 “We’re getting accustomed to comfortable chairs and sofas in interesting material combinations, so of course we need sophisticated lighting to go with it.” Herkner describes Loon as a “reservoir of light,” noting that just as water can be contained in a volume — a tower, for example — so too can light. The surface of Loons rotomolded LED lighting element features a fine microstructure for a matte finish and a soft touch. 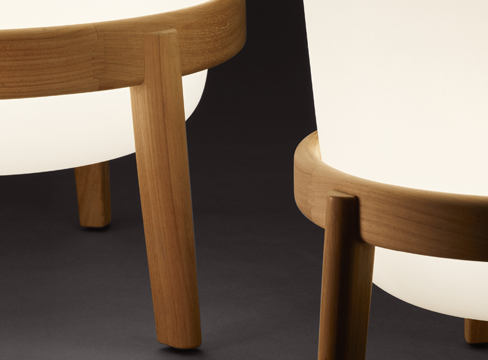 As if floating, the cordless lighting element rests on a three-legged ring of solid teak. Easily removed for recharging, it comes with a dimmer and remote control.